Qigong and Tai Chi are traditionally on the edge between movement, healing and martial arts. 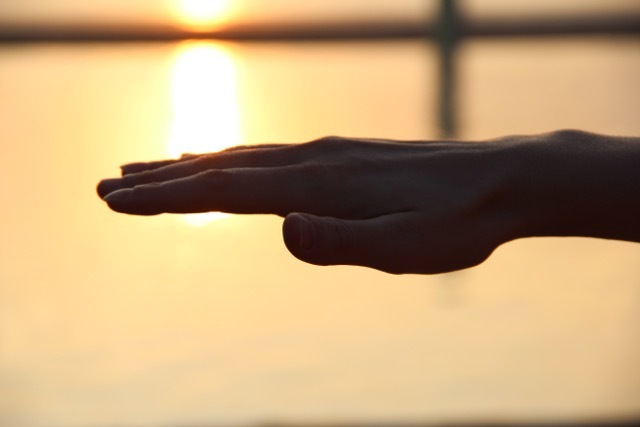 While some teachers and practitioners see Qigong as a body mind practice furthering overall health and wellbeing, some are adamant that Qigong has strong healing properties which can be aimed at specific disease patterns. Though these healing properties of Qigong are not at all – “not yet” those healing practitioners would say – scientifically proven, some Qigong practitioners want to advertise their healing powers in connection with certain diseases and their power to teach specific self-healing practices. Critics of this approach towards Qigong and healing might find that the danger of fraud and malpractice in connection with horrendous healing claims concerning sever illnesses such as cancer and the like already calls for a strict regulation for this new emerging “healing profession“. 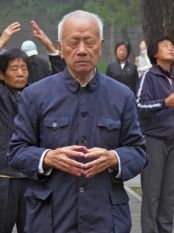 Liberals – in the best sense of the word – would wholeheartedly speak out for free practice of Qigong in all its forms, be it health-related calisthenics or Daoist religious practice, sometimes up to the point that patients are deemed able to make their own decisions – and also mistakes – in finding their way toward a more healthy life, even when this means that they are taken in by false promises of medical or clinical Qigong professionals. But between these two extremes, there is also a significant movement from within the group of clinical or medical Qigong practitioners in favor of legal regulation. Alternative healing methods is commonly seen as a possibility to create a growing market for Qigong, which struggles for attention in the concurrence with Yoga and other wellness and training centers aiming at general health improvement of their clients. The biggest challenge to enter the medical market is to get the health insurance companies to pay the Qigong treatment of their members just like other already recognized alternative healing methods. Therefore, Qigong must be stablished as a recognized way if therapy. But how to get official recognition for these Qigong practices? As the road toward scientific recognition is barred, especially for the more eccentric healing promises of Qigong practices like healing by Qi emission without even touching the patient, other ways have to be explored. One way is the organizational approach by building umbrella organizations which lobby universities, clinics and officials. That can be (at least partly) successful can be shown in the bill discussed below, which – without clarifying why – mentions the standards set up by a “National Qigong Association” as a benchmark for accreditation of clinical Qigong practitioners. And that already gets us to the point: Where scientific recognition cannot be manufactured – at least not beyond symposiums where scientists borrow their personal and professional credibility for the good cause and showing themselves with Qigong professionals – there may develop a drive toward legal recognition. Laying down a law that effectively states that Qi emission healing does exist – for it must exist if it is required training for a state license, right? – might be a brilliant short cut. It leaves scientific proof out of the equation. As a medical or clinical Qigong practitioner, I can rely on the law to back me up – at the expense of other practitioners who are professionally concerned about these claims and try to engage a discussion about them in the interest of a basic scientific standard. Now, I do no longer need to try to answer the questions posed, which medical Qigong practitioners regularly struggle to answer: Why does it work? How does it work? How is Qigong able to target specific disease patterns? Why can one not get satisfactory and reproducible data concerning these specific healing powers? – All of this does suddenly not matter anymore. What I believe to be true and what I want to advertise and make a living of is positively sanctioned by the state. The question whether such kind of healing powers exists at all is now irrelevant – the game has changed fundamentally in my favor. 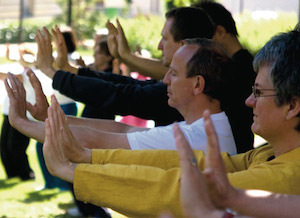 The biggest promise – especially for an already existing and therefore senior Qigong healing practitioner – is the opportunity to grow one’s business by luring in new students to complete lengthy formation cycles with the promise of a secure career in a newly emerging, allegedly prosperous field of work. – Prospects of a short-lived golden age where few profit at the cost of many on a questionable base: The production of practitioners flooding the country who will not be able to make a living on the basis of their expensive private Qigong education is more than foreseeable. Because of this context, let’s have a closer look at a recent attempt to legislate on Qigong, even though it is “only” a regulation for one federal state in the US and may never enter into force. Generally put, the said bill wants to regulate clinical or medical Qigong – i.e. Qigong used for clinical purposes. This is thought to be achieved by a general licensure requirement for Qigong teachers and practitioners practicing “clinical Qigong therapy” as the bill terms it. The activities under the proposed law shall be organized via a especially set up Oklahoma board of Qigong. The task of the board with its 5 members which are appointed by the governor would be to set standards for licensure, professional conduct and ethical standards for teachers, practitioners and schools. It establishes and operates the licensing process (issuing, renewing, reinstating and shall revoke licenses “deemed appropriate for the health or safety of customers and citizens of this state“). The board also monitors and penalizes violations of the proposed law and is allowed to act upon cases of malpractice and unprofessional conduct. The work of the board members is unpaid work in an official function. Travel expenses and compensation are granted along the usual state rules. These costs are covered by a revolving fund, which is financed by the application fees for the licenses and the penalties and administrative fines which the board is allowed to pronounce. The proposed guideline for application fees is $ 300 per license. Various penalties and administrative fees range from $ 500 to $ 5,000. The Oklahoma Board of Qigong is therefore designed as a typical no-cost instrument concerning state finances. – The costs are in effect paid by the practitioners themselves. If the bill becomes law, all persons not licensed by the form July 1st 2020 are barred from offering clinical qigong therapy as well as from advertising and teaching Qigong “for purposes of clinical qigong therapy”. This open wording leads us to have a look into the scope of the bill and its legal definitions concerning “Qigong” and “Clinical Qigong therapy”. The bill addresses all activities related to Qigong as a practice of Traditional or Classical Chinese Medicine as far as this practice is related to clinical therapy. The bill thus aims at Qigong, defined as activities with the “purpose of promoting, maintaining and restoring health, including the treatment of dysfunctions of the body involving pain”. – The scope of the bill is thus a but vague and very widely set. The bill does not want to regulate the practice of acupuncture or martial arts and explicitly states that “general recreational qigong exercises for self-health or non-specific medical purposes are not included in this definition” (of clinical Qigong). The scope of the bill is thus vague and very widely set. A better idea of what Clinical Qigong might be and which practices are in need of official licensing according to the bill can be found in the description of the “Clinical Qigong practitioner” see below. Exemption for recreational Qigong or Qigong for non-specific medical purposes? “Persons who participate in general recreational qigong exercises for self-health and non-specific medical purposes and do not instruct others for profit or receive compensation through donations or by any other means”. – The legal language implies here, that a Qigong practitioner would not need a license if she/he does recreational Qigong (and advertises it only as such) for free. This would make any form of paid Qigong teaching without license illegal, no matter if the Qigong is “clinical” or just a general mind body movement exercise. Acupuncture is also a known TCM practice of similar characteristics as e.g. Tuina (Chinese massage). Why is it not regulated in the same way? While many states have separate Acupuncture Acts and licensing requirements for Acupuncture, there is currently no practice act for Acupuncture in Oklahoma. This is the result of at least two unsuccessful attempts: in 1996 – SB 795 sponsored by Senator Fisher, in January 2018 – SB1501 introduced by Senator Rader. Both of the failed bills feature more or less the same structure and content as the current proposal for Qigong, also sponsored by Senator Rader. An educated guess would be that acupuncture was omitted in the present bill simply because of these unsuccessful attempts. 70% of the basic training must be centered on one teacher, institution or school as 70% of the hours need to be from the same source. Schools or institutions must be recognized by the board and for individual training the teacher must be approved by the board. A formal application is required and the fee must be paid. Then, it is up to the applicant to demonstrate that she/he is a graduate of a recognized Qigong program or graduated from a [not formally recognized] program and practiced Qigong in Oklahoma for the last five years or [if the first two alternatives do not apply as e.g. in a traditional personal formation with a master] completed another education or formation process which the board considers sufficiently qualifying. Exemptions apply to those who are licensed under another jurisdiction and practice in Oklahoma only for up to 60 days per year, practitioners who act in the context of a natural disaster or a public health emergency as declared by the governor, training periods and recreational Qigong exercises which are not for profit and not compensated in terms of money (fees, donations and the like). The bill proposes two types of licenses: “Qigong teacher“, comprising three levels of expertise and “Clinical Qigong practitioner“ with a two-level setup. A third licence, in fact a variant of the “Clinical Qigong Practitioner“, the “associate clinical practitioner“, is an add-on qualification for health-care professionals from other fields with 5 years experience. A “Qigong teacher (entry/intermediate/advanced)” is someone who is allowed to teach “Qigong in a clinical setting” or “Qigong for use in Clinical therapy”. The Qigong teacher entry license would require 200 hours documented formal Qigong training, intermediate license 350 hours formal training and two years teaching experience, advanced license 500 hours formal training and 5 years teaching experience. The distinction between the “Qigong teacher” and the “Clinical Qigong practitioner” is not clear cut. 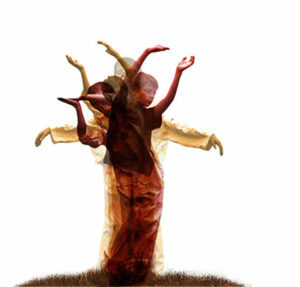 “Qigong teacher” seems to be the basic qualification, as it requires less hours formal training. However, deducing remaining field of practice of the Qigong teacher taking into account the missing requirements for certification compared to the “Clinical Qigong practitioner”, the allowed practice of the “Qigong teacher“ it can be described as “only” comprising gymnastic exercises for health, i.e. exercises aimed at a certain identified condition, which the patient does him- or herself as instructed by the “Qigong teacher”. The wording of the bill itself is not really clear on this crucial point. The explicitly mentioned possibility for the “Qigong teacher“ to apply for a dual license – i.e. the possibility to “upgrade” to a dual license adding the “Clinical Qigong practitioner” seems to imply that the latter certificate is somehow a “more”, an advanced state of development. This is also apparent in the requirements for the “Clinical Qigong practitioner”. The Clinical Qigong practitioner may put the title CQP behind his/her name – which means that using this or other similar titles (QT, AQT, ACQP or MQP) will be forbidden by the law without certification. The bill drafts the field of work of the “Clinical Qigong practitioner” as a wide field comprising many different aspects: The Clinical Qigong practitioner uses clinical/medical Qigong “treatment modalities” and participates “directly in the healing process with the patient in which Qi emission is included as part of the treatment”. The kind of treatment listed are the: exercises, meditation (which somehow seems to overlap with the “Qigong teacher”), different kinds of massage techniques – acupressure (but not acupuncture; see above! ), Qigong medical massage, Tui Na, Dian Xue, Gua Sha, “Qi massage” and reflexology along with “energy work”, “body work” and cupping as well as herbal prescriptions following the standards of TCM/CCM. All these are classified as treatment due to their purpose: they are used by the practitioner to “address specific medical conditions”. Put shortly, the field of work it is the whole universe of TCM – leaving out acupuncture. The above enumeration implies that on this advanced level of practice Qi does somehow develop powers that have to be held at bay by a specifically trained practitioner. 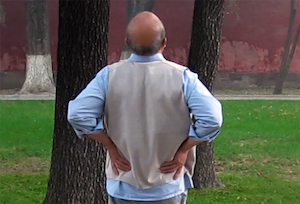 The description of the kinds of treatments subject to licensure imply that Qi can be emitted from the practitioner to the patient and manipulated by the practitioner in the patient to a degree that goes beyond that, what the patient is able to do him-/herself in exercises lead by a (less qualified) “Qigong teacher“. It seems to be that “danger” which in the eyes of the bill justifies additional qualification and licensure requirements. This may be acceptable if one wants to take into account the risk of working directly on the patient while setting bones using massage techniques and opposed to the non-invasive movement exercises of the “Qigong teacher”. In these cases, TCM techniques are much alike chiropractics – which are also regulated by law. – But these Chinese massage techniques are not really internally connected to the practice of Qigong as movement or meditative practice. Although they stem from the same cultural background and are both part of TCM, they are fundamentally different disciplines. (The same goes for the prescription of herbs, acupuncture and Chinese dietetics – which together with Qigong and Tui Na build the five columns of TCM). The bill thus lacks a fundamental understanding of the structure of TCM. The license requirements for a “Clinical Qigong practitioner” are 500 hours formal clinical Qigong training whereof 100 hours must include “contact and non-contact Qi emission“, adjunct massage manipulation and teaching medical qigong exercises. Two years of clinical qigong experience is needed. The “Advanced qigong clinical practitioner” certificate goes along the same lines with 1,500 hours formal clinical qigong training whereof 1,000 hours must include “contact and non-contact Qi emission”, massage and teaching and 10 years clinical experience. The Associate clinical practitioner has to document 250 hours of formal medical qigong training whereof 100 hours include “contact and non-contact qi emission”, massage and teaching. They need 5 years of clinical experience in their own health-related field of expertise and a current license for their field (Qigong excluded). “Qi emission” is not defined by the law – but one has to deduct from the formulation “contact and non-contact” that the bill sees Qi as something which can be manipulated and sent through the air somewhere else. This is – to say the least – an interesting position, as the question whether (and how) Qi as “life energy” – as which it is defined in the medical terms of Traditional Chinese Medicine – could possibly exist independent of the living, biological, physical body has not been answered in traditional Chinese Medicine up to now. The bill is thus biased in favor of an approach which is not even proven according to the methodology of the field that it tries to regulate, let alone modern science. Summary – What are the consequences of the bill? Apart form the requirement to get an official license first, if one wants to teach Qigong of any kind as a business, and the costs burdened upon the practitioners, there are two main consequences. If the bill becomes law, future applicants are forced by the state to “learn“ “contact and non-contact Qi emission”. While contact Qi emission may be a question of terms concerning massage techniques (do I physically move the tissues of the patients or does my (“emitted”) Qi do it? ), the idea of non-contact Qi emission through the air is a wild one, even for the “initiated” Qi or Qigong circles. Even more so, when one bears in mind that this bill does not talk about the well being benefits of radiating body warmth, attentiveness to the patients body or spiritual exercises: It is solely concerned with treatment methods aimed at healing a specific condition / disease pattern. Thus, the bill suggests that non-contact Qi emission is an existing and legitimate healing technique capable of dealing with specific illnesses. The “Clinical Qigong Practitioner” licenses thus effectively license “energy healers” as a quasi-medical profession. – The bill does so without visible scientific or legal justification, just because this kind of technique is deemed to be part of a “Qigong“ that is portrayed as “traditional” or “classic” Chinese medicine. – In contrast to that Qigong as movement therapy is in fact downgraded as being a mere basis for the “Qigong teacher” license. This is irritating, as in fact the movement exercises of Qigong form the only part of Qigong healing practices where scientific proof is beginning to develop which sees the asiatic body-mind practices as effective as “traditional Western” calisthenics and thus as a valuable alternative for patients. Another – possibly not-intended consequence of the “Qi emission” training requirement – is the influence on the choice of school for the aspiring “Clinical Qigong practitioner”. Especially future “Associate clinical practitioners” – who in effect get a considerable “discount” concerning his/her qualification requirements for licensure – should consider a Qigong school where “Qi emission healing” – the apparent “real stuff” – is part of the main curriculum, as 70% of the hours have to be from one teacher/school and 100 of the 250 hours required must comprise this kind of “Qi emission” formation. These seemingly neutral requirements could thus in effect one-sidedly promote the choice of schools centered on a questionable concept at the expense of schools promoting other viable alternative views on Qigong and TCM. The bias towards energy healing is of such a kind that as an instructor one cannot offer a complete formation for a student of Qigong in one’s own school without being forced to teach “Qi emission healing”. One may not even be eligible to found a school recognized by the Qigong board for the purpose of licensure if one does not endorse these questionable techniques. A further foreseeable consequence may be that Qigong schools and institutions are favored over traditional formations with a teacher/Master, as the process of licensure and the licensure requirements are fitted for classroom-education curricula in an institutional setting.